The Autism Support Network would like to extend a very special thank you to our sponsor Century Plaza Hotel and Spa and to all of the companies, organizations and individuals that donated to our annual fundraising event, An Evening of Blues and Bites. Click here to views photos from the evening. Thanks to the generosity of donors and attendees, the evening was a great success and raised over $10,000 for our charitable organization. A portion of these funds raised has been donated to ABA Summer Camp, a specialized camp for children with autism in Surrey. The Autism Support Network will also be using the funds to host a family picnic and barbeque in the lower mainland this summer as well as a networking event for families on Vancouver Island this September. The funds will also help us to continue providing monthly educational presentations and parent support meetings. Held at the beautiful Nikkei Museum and Cultural Centre in Burnaby on May 30th, the event was a great success. 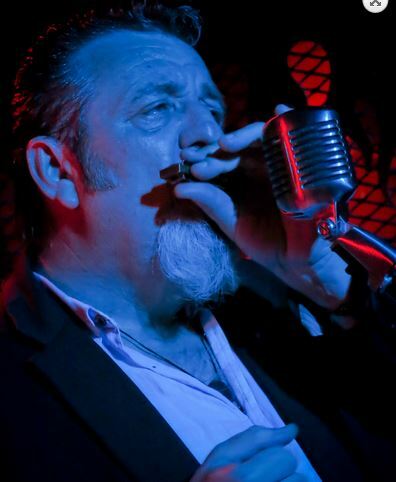 Over 130 guests attended and enjoyed a fabulous evening of Blues and Bites. Chef Peter Bucher is the man behind the vision for our event and he assembled an amazing team of Chef Instructors and student apprentices that served freshly prepared, gourmet dishes throughout the evening. 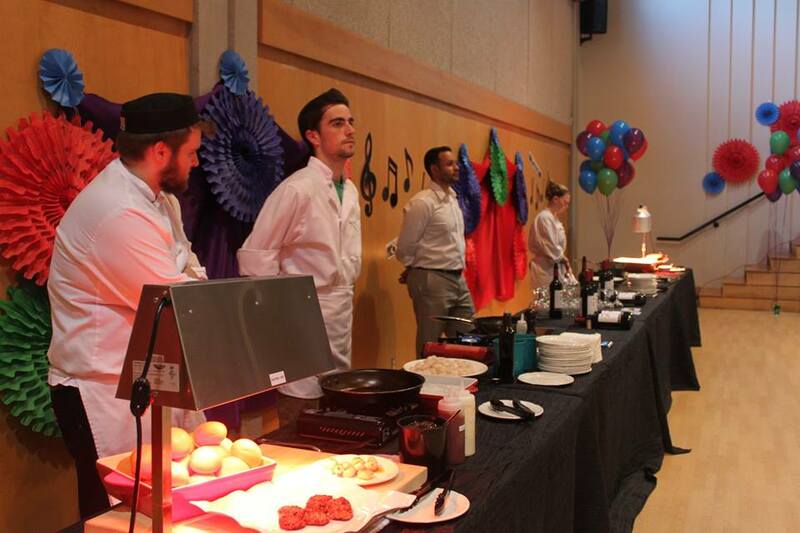 Cooking stations were set up throughout the hall and guests got to feast on over 20 dishes. Some of the highlights from this custom prepared menu were sliced Fraser Valley Duck, carved rack of lamb, sautéed tiger prawns and pan seared scallops. Guests were delighted with the menu and raved about the wonderful food throughout the evening. Luisa Marshall was the evenings Emcee and performed a quick tease of her alter personality “Simply the Best” Tina Turner. Luisa gave the evening over to the Autism Support Network and the work the charity does in the community. Township 7 was on hand pouring a variety of wine which was paired with several of the dishes. Foodies were especially impressed with the pairing of Township 7 North Bench Oliver (2012) with perfectly cooked Canadian AAA strip loin of beef. Award winning Canadian blues musician Harpdog Brown and his Travelin’ Blues Show commanded the stage during two 1-hour sets and the crowd loved it – eating up his “take no prisoners” harmonica playing, deep Bluesy voice, great selection of songs (most of them original) and entertaining showmanship. The audience was also treated to a performance by the local performance troupe Hourglass Cabaret. These bodacious ladies volunteered their time and talent at An Evening of Blues and Bites and brought some sassy classiness to the affair. With an incredible silent auction, 50/50 draw, mystery balloons, a wine board worth over $350 and a beer board with over $200 of craft beer donated by Central City Brewers, guests were never bored and just about everyone went home with a prize or item they had purchased. Topping off the experience was the opportunity to learn about some of the individuals with autism that are reaching their full potential through access to effective, science based autism treatment. 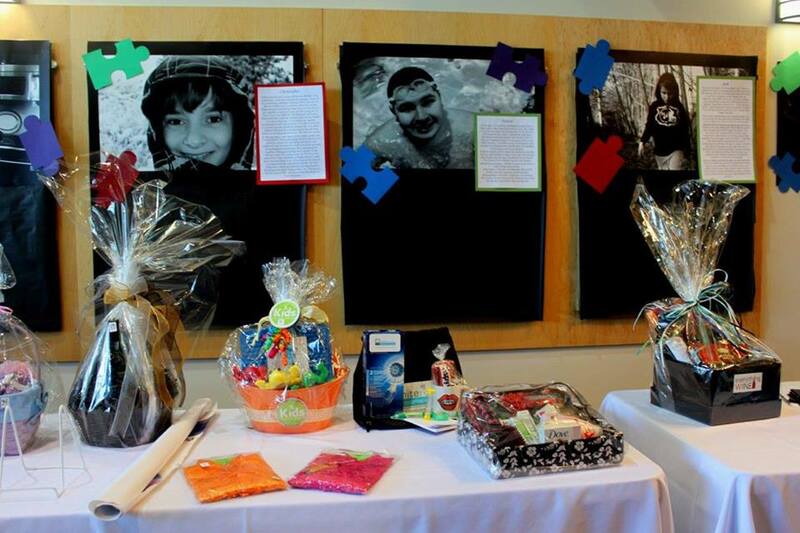 The “Unlock Potential” display showcased black and white photographs of children and personal stories from families that have been helped by the Autism Support Network. We also must give special mention to all the wonderful volunteers that worked before, during and after An Evening of Blues and Bites and did whatever was needed to make the night enjoyable for everyone that attended. 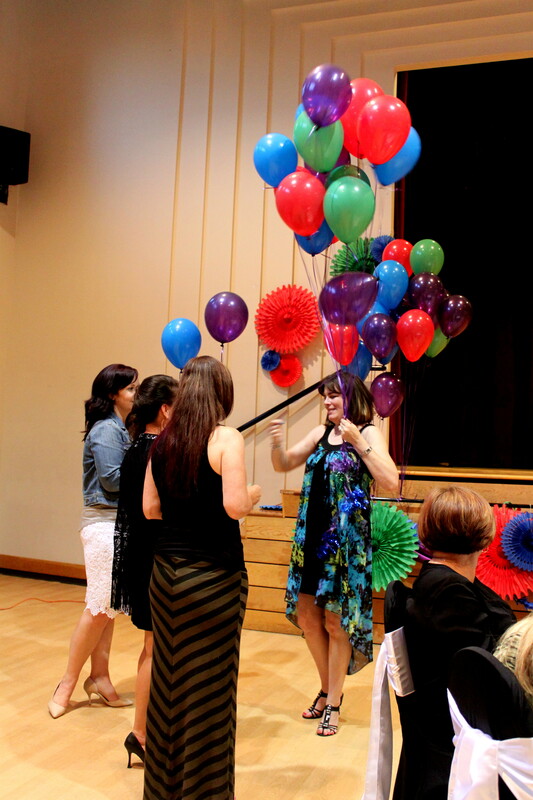 Many of these volunteers are also parents who work tirelessly to help their children and everybody affected by autism. Thank you from all of us and the families we help for being part of this successful, memorable fundraiser! A&T Equestrian, Abbotsford Air Show, Abracadabra Chair Cover and Design, Absolute Spa, Arts Cub Theatre Company, BackYard Vineyards, Bearfoot Bistro, Beer Craft Market, BroJoe T-Shirt Designs, Butchart Gardens, Cactus Club Café, Calais Spa and Billiards, Canine Kitchen, Capilano Suspension Bridge, Central City Brewing, Century Plaza Hotel and Spa, Chandra Stegar, Choice’s Market South Surrey, Choo Choo’s Food and Beverage Company (Langley), City of Burnaby, Civil Rights Now!, C-Prime Restaurant, Cole Renner, Curves White Rock, Dave Chan Photography, David Bridges, Deb Antifaev, Dennis and Jennie Nerpio, Everything Wine, Fairmont Hotel Whistler, Fedewich & Witt Notaries Public, Fernie Brewing Co., Glass World (Langley), Granville Island Brewing, Great Canadian Gaming Corporation, Greater Vancouver Zoo, Hapa Izakaya, Harrison Hot Springs Resort, Hourglass Cabaret, Howe Sound Brewery, Jean Lewis, Jen and Doug Ralph, Kathy Baker Artist, Katy Harandi, Kids Physio (Surrey), Langley Liquor Store, Leanne Laine Fine Art, Louise Witt, Main Street Brewing, Mary K Cosmetics (Amanda DeSilva), Matt Jones, McClelland Premium Imports, Medicare for Autism Now!, Metropolis at Metrotown, My Shanti by Vikram Vij, Nourish Hot Yoga, Ocean Park Village Pub, Pacific National Exhibition, Phillips Beer, Pocket Full of Parties, Potter’s Ocean Park, Purdy’s Chocolates, Red Truck Beer Company, Richard Tetrault, Rochells Jewellers Semiahmoo Mall, Romancing the Home, Safeway (Peninsula Village), Science World British Columbia, Shirley Hewko, Spinnakers Gastro Brewpub, Steel Toad Brewpub and Dining Hall, Stephanie Lamy Photography, Sticky’s Candy Ocean Park, Susan Paquette, Swim Clo Aquatics, Tapestry Music, The Keg Steakhouse and Bar, The McEvoys, Township 7 Vineyards and Winery, Vancouver Aquarium, Vancouver Canucks, Vancouver Circus School, Vancouver Symphony Orchestra, Vancouver White Caps FC, White Rock Orthodontic Centre, White Rock Beach Beer Company. Born in 1954, and raised in Switzerland, as a son of a chef, Peter got acquainted with the hustle and bustle of a busy restaurant kitchen very early in his boyhood, earning his weekly allowance in helping his dad by the stove side. Not even sixteen yet, he moved to the city of Berne, where he underwent the rigorous cook’s apprenticeship, which, as he puts it today, was no picnic, even by the standards of those days. Done at age eighteen he found the fanciest restaurant in Berne, where he completed the waiter’s apprenticeship to build up on his gastronomy skills. At twenty, the armed forces “invited” him to boot camp to “turn him into a man” once and for all, but he counted the months, weeks and days, as he couldn’t get out of there fast enough. 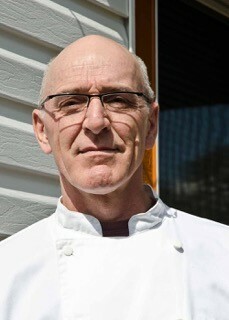 At age twenty-six Peter entered into a contract with Hilton International and began his one year assignment as Chef Tournant at the Harbour Castle Hilton in Toronto, where he learned to also venture into food mass production, often cooking for up to 4000 guests at the adjacent Convention Centre. A cross Canada trip ended up in Vancouver and Peter needed a job to earn enough money for the flight back to Switzerland. Little did he know, but when he walked into the Holiday Inn Harbourside for the first time, he had no idea that this would be “his hotel” for the next fifteen years. One promotion came after another and just prior to Expo, Peter was promoted to Executive Chef, a position he held for ten years. During that time, he fanatically competed in Culinary Arts competitions and captained the Vancouver team to their Grand Gold medal at the 1988 Olympics in Frankfurt Germany, and represented the country while on Team Canada in Singapore in 1990. That same year, the hotel was acquired by New World Hotels and they invited him to China and Hong Kong for an orientation tour and Peter got his first introduction to real East meets West Fusion Cooking, and back in Vancouver, the New World Harbourside became cutting edge in this new food movement that rocked this city. Also, another new passion had begun to emerge; the training and mentoring of young chefs and apprentices, so much, that Peter only six years later accepted a high school culinary teaching position in the Mission school district. 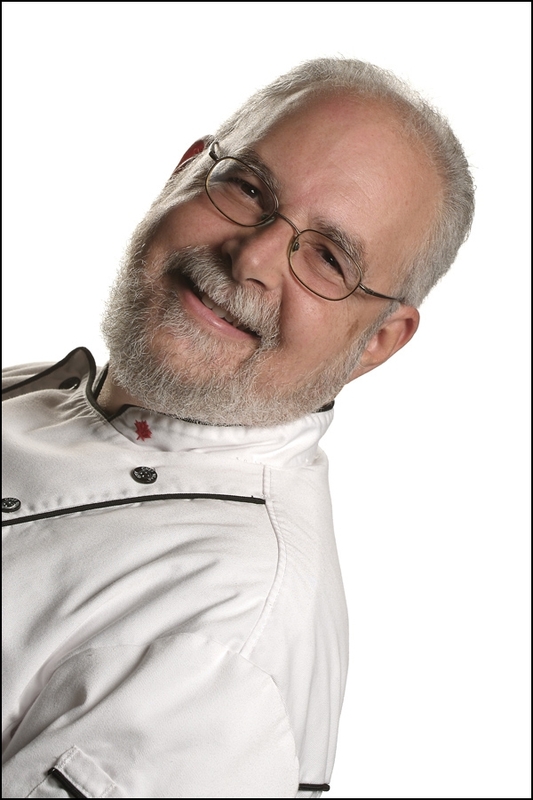 Since these beginnings in 1996, Peter has mentored hundreds of young culinarians, and his efforts of inspiring and infusing food passion into youth, in the most meaningful ways, continues. 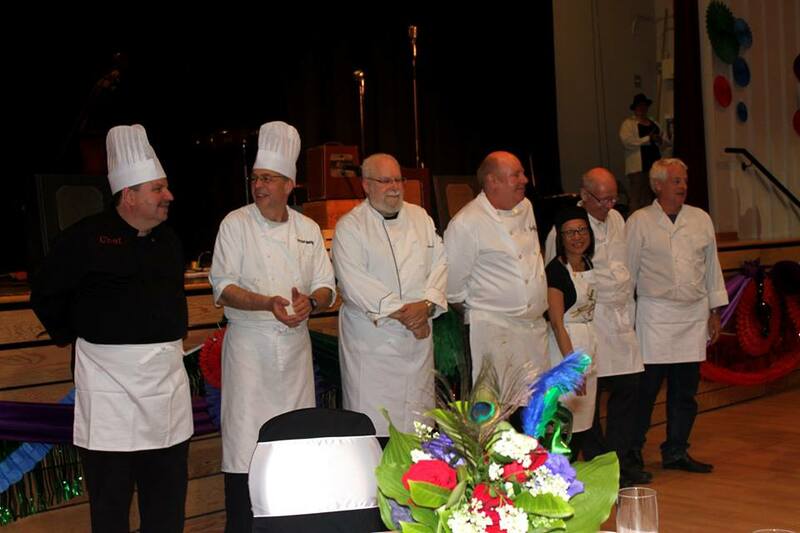 Only recently, and with the help of numerous chefs and volunteers, he lead the Food Services Directorate in serving 20,000 meals to over 1800 athletes and participants during the BC Winter Games in Mission in February 2014. Nathan Hyam was born in New York City and educated in Montreal. He served a traditional three-year apprenticeship in classical French cuisine under Swiss chef Kurt Kuhn at the William Tell restaurant. He holds a Red Seal Inter-provincial certificate in cooking. Nathan has been a restaurant owner and has worked in many fine food establishments throughout the world and brings with him experience of regional cuisines from such places as California, Mexico, Portugal, Spain, Morocco, Indonesia, Malaysia, Singapore, Hong Kong and Thailand. Nathan trained at the Oriental Hotel Baan Phrya School, Wandee Culinary School and the Suan Dusit College in Bangkok. He is considered an expert in Thai cuisine and has been teaching the regional cuisines of Thailand for more than two decades. He has written a best selling Thai cookbook for Whitecap Publishers called “New Thai Cuisine”. Nathan is actively involved in his community and was a board member of the Vancouver Food Policy Organization and a member of the board of directors of Farm Folk City folk, an organization that focuses on food security issues and the promoting of sustainable farming and organic food. Nathan is a founding member of the Picasso Café restaurant training program for “youth at risk” in Vancouver. He launched the opening of the café in 1989 and was the Head Chef-Instructor for the first two years of its operation before moving on to be a director of the board. Nathan was the founding director of “The COOKSCHOOL” in Vancouver and was the Head Chef-Instructor for seven years before taking a position for the Coquitlam school board as Head Chef-Instructor and department head of the Culinary Arts Department at Riverside School where he taught for four years. Nathan loves producing cooking demonstrations for the public and has participated on the stages of the BC Restaurant Association show, The Home show, The Chinese New Year Show, The Dragon Boat Festival, The Wellness show, The West Coast Women’s show and Eat Vancouver. He has also managed the cooking stage at the Home show and organized and hosted the Black Box competition at the BC Restaurant show. He was a member of the team of chefs that provided the food for the First Nations pavilion at the Vancouver 2010 Olympics. Nathan was also a member of the team of chefs that provided food for the 2000 participants of the 2014 BC Winter Games in Mission. He has recently returned to Vancouver from the Caribbean where he was working as a restaurant consultant and the head chef-instructor at “The Cooks Class “on Grand Cayman Island. Nathan became the executive chef for Capers Canada for 2 years before joining the team at Kla-How-Eya Culinary Arts training program as the head Chef Instructor. He was the head Chef Instructor at the Métis Skills and Education Centre Culinary Arts program for 2 years before the program was transferred to Sto:lo nation training division where he is currently instructing the apprenticeship training program. His personal philosophy as a chef emphasizes fresh healthy foods with an international influence. Andreas grew up and trained in Davos, Switzerland. After a 2 year stint in Bermuda, he worked in North Western Ontario for a winter season then moved to Vancouver area. During the next 6 years Andreas worked for various hotels, restaurants and the Alberta Pavilion during Expo 86. After the Expo experience, Andreas worked as a Sous Chef at the Wedgwood Hotel – from where he was hired-on as a chef instructor for the Abbotsford Senior Secondary school. 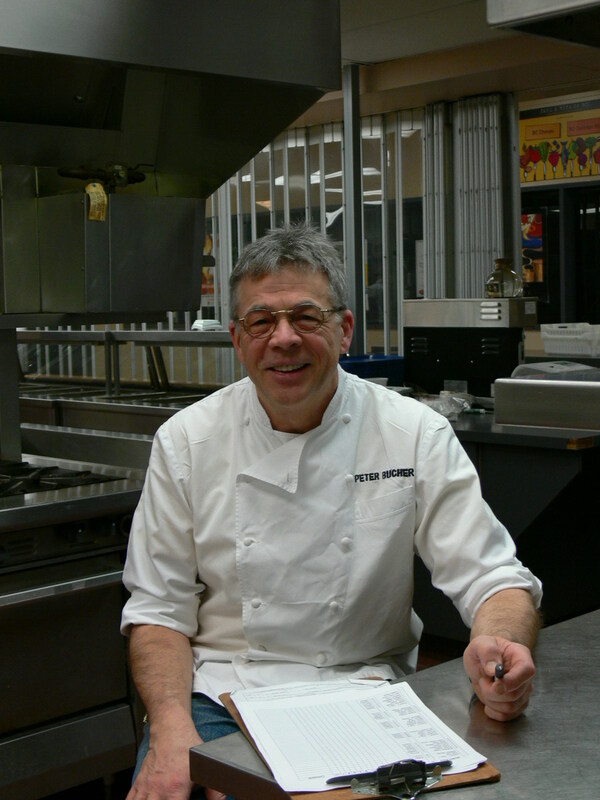 Andreas has been teaching young “culinarians” for almost 28 years and still enjoys the interactions and challenges.